Ever since I was a little girl, animals have always been my passion. My sister worked at various pet stores when I was a child and I used to go in and help her just to be around animals. After that experience I knew I had to be in the pet industry for my career. 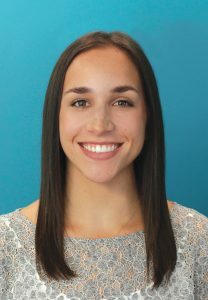 I started working at PetSmart when I was 17 years old and worked there for 13 years, learning the industry from the ground up, until I left to join the team at Pet Care Plus. 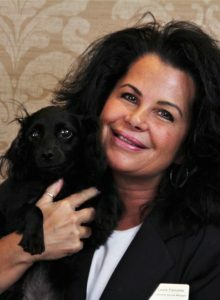 I have three small dogs… Lexi, Mona, and Ozzie and three cats… Prada, Niko and Jager. My passion is working with rescues and strays. 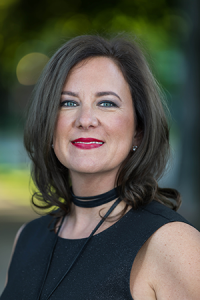 I’m Laura and I have been in the pet industry for over 10 years and held various managerial positions in both corporate and small pet services businesses. I feel fortunate that I have been able to take my love for animals and turn it into my full time career. I have three dachshunds Jersey, Maxx and Shayna. The thing I like about working with dogs is that I treat every dog as if they were my own and I get the same love back. In my spare time I also enjoy painting my home and working on other projects around the house. Working with animals has always been my passion since day one! I grew up on a small farm where we had a little bit of everything like horses, rabbits, cats, dogs, chickens and even fish! Now I live in the big city and get to work with so many amazing people and pups! Having one dog of my own and two cats (and some fish) means 24/7 I am working to care for fur-babies at home and at work! 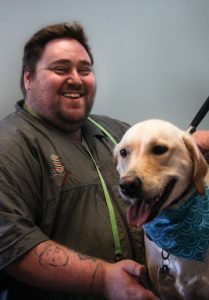 I’ve worked with Pet Care Plus since 2012 and I couldn’t imagine working anywhere else! Let me love your puppies!! In 2011 I moved to Chicago to attend Roosevelt University where I received my BA in Creative Writing and Philosophy. 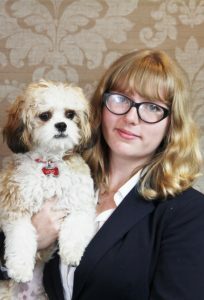 Throughout my life I frequently volunteered with shelters and rescues so I was thrilled when offered a job during university to join Pet Care Plus’s team. Since beginning as a kennel attendant, I have moved into managing outside services and social media. I love taking photos of our gorgeous pups and thinking up fun new projects for us to enjoy together. When I’m not at Pet Care Plus, you can usually find me cycling on the South Side or spending a quiet evening with my tabby, Walle. 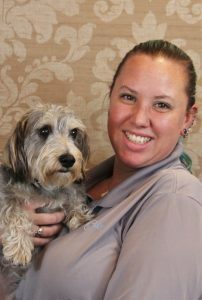 I started my journey into the pet industry ten years ago as a part-time Kennel Attendant for Pet Care Plus. 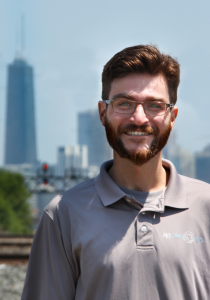 After a year with Pet Care Plus, I moved to PAWS Chicago where I worked in every department to learn as much as I could about shelter medicine and animal behavior before moving into a management role. I remained with PAWS for eight years before returning to Pet Care Plus as Kennel Manager. Unfortunately, I am allergic to dogs and unable to own one, so I get my canine fix here. At home I have five cats: Spoookie, Buu, Spyrit, Ghoast and Godzilla who keep me pretty busy. In my free time, I enjoy working with rescues and fostering neonatal puppies and kittens. I was not always clear in what path I wanted to take, but in 2012, I got on the Pet Care Plus team and I’ve been here ever since! My family always kept dogs around when I was growing up in the near-western suburbs. I currently live with a wonderful kitten named Sancha, who is unfortunately terrified of dogs, but I have a few hundred close four-legged friends at work every day! I am fascinated by dog behavior and enjoy reading about the science behind how they think and interact. My favorite part of working at Pet Care Plus is building a relationship with all of our clients and their dogs, and seeing their families grow in this beautiful city. In my free time, you can find me riding my bike around the city, always in search of the best slice of pizza that life has to offer. I grew up in a house full of mutts, rescues, and fosters. At 18, I adopted my own border mix, Boomer. We took on college together at University of Illinois Urbana-Champaign where I earned my BS in Animal Sciences. During school, I had the privilege of working with Safe Humane Chicago where I rehabilitated abused and neglected bully breed dogs. I taught them to regain trust in humans, and helped them transition into the most normal life possible. 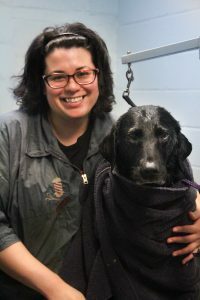 After school, I worked for two Chicago rescues where giving dogs a second chance meant fine-tuning their skills, behavior, and making sure they were able to handle different interactions in a variety of stressful situations. I’m excited to take my past experiences and training skills to help all dog owners have the dog they have always dreamed of! 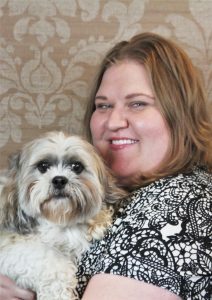 Jennifer is the driving force behind this successful Chicago dog boarding, daycare and grooming business as she has guided its growth from a simple pet sitting business to the #1 pet services business in the city of Chicago as voted by Citysearch.com users. Jennifer graduated from the University of Illinois – Chicago with a degree in Criminal Justice. After a brief stint in the world of social work, the animal world found her and her husband Chris in their new home in Humboldt Park. She always had a love for animals that was instilled in her by her father, but here it was taken to another level with the number of strays and homeless animals that they took in while living here. 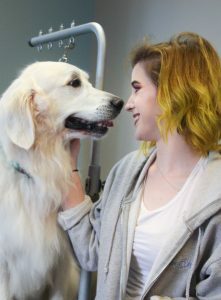 This experience taught her that animals always need to be treated as more than just the dollar sign that many kennels see when they look at your pet. It also has kept her working with local shelters to this day, through donations of equipment, money and space. Chris was the key dog walker and cat sitter in the beginning stages of the business. 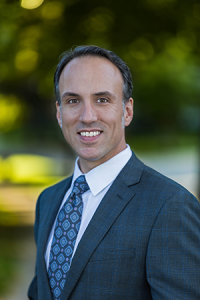 Having earned his BS in marketing from the University of Illinois – Chicago he is also the steward of the business image and marketing practices. He also shared in the experiences of caring for the many stray animals that fostered the business idea as a whole. In addition all the dogs who like to swim at the kennel can thank Chris for envisioning the idea of turning the old, unused loading zone space into the one of a kind in Chicago swimming location for the dogs. He is also proud to have seen the business voted the best Chicago dog daycare and boarding facility by Citysearch users in part based on our terrific K-9 Oasis. I started grooming a little over ten years ago and have yet to question my choice of career. I truly enjoy every aspect of the job, not only for the ascetics of styling but because I genuinely care for the well being of each client. I enjoy building my relationships with not only the dogs but with the pet parents, as well. I specialize in creative haircuts- let me give your pup a mohawk! 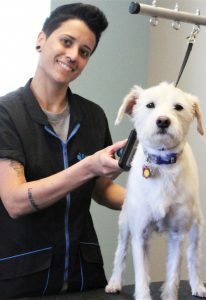 I also love to nurture dogs with fears or nervousness during the grooming process. I can’t wait to meet you and your precious pup. I’ve been a groomer since 2010. I’ve always had a love for animals, but dogs hold a very special place in my heart. I’m the proud pet parent to a very spoiled Siberian Husky named Jasper. I’ve had him since he was 3 months, and he is now 12 years old! Ethical treatment of animals is one of my primary concerns and beliefs in life. Grooming allows me to do my part in ensuring the health and comfort of animals. 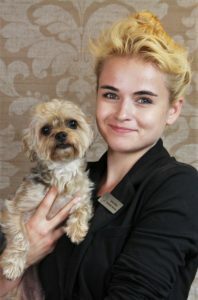 I’ve been a groomer for seven years and I love what I do! I find grooming to be very fun and relaxing. I’ve worked at PetSmart and Petco and I’m ecstatic to join the team at Pet Care Plus. Safety is my number one priority! I love to help the dogs stay as happy and relaxed as I am when I groom. It makes my job so satisfying and enjoyable. I have a wonderful companion named Cheesy Beef who is a gorgeous little chihuahua. I grew up in a small town in southeast Missouri where my love and passion for animals began. My little brother and I often rescued hurt animals from a creek by our house which we called the “Animal Hospital.” We rescued baby chickens, rabbits, birds, turtles, lizards, kittens, and stray pups. I moved to Chicago on my own the summer of 2015 and realized something was missing…animals! Through my employment at PetCP I was able to foster a goofy and loving Chow/Golden Retriever Mix named Zoe! We have gained such a bond over the past year and have learned so much together. It makes everyday a new adventure! Back in Missouri I have a Shih-Tzu named Mia, a lab/pitbull mix named Benny, and countless stray pups that come for food and love! When I’m not at PetCP, you can find me exploring the city with my film camera or working on graphic design projects and studying up on some Art History.